Work for Visual Studio Team Services? Learning about Visual Studio TS? "Powerful, Easy to Use Tool"
"Visual Studio TS - Ideal for development teams"
As responsible for managing Visual Studio Team Service, in our institution, I must say that this is the number 1 tool, for development and implementation of projects in.Net, working in a joint way with a group of experts, it is ideal for the management and creation of projects, of all types of users, in a simple and effective way. The interface is quite simple, nothing has changed in the last few years, and it seems that they do not try to make significant improvements in this sense, the new generations of development, are not easily conditioned to the robust interfaces, which we have been using years ago, now everything is more intuitive in most software that is used commercially, and to software development applications should apply the same, characteristic. We administer and review all the new projects that our work table makes, and the different applications developed by teachers and students in the software development laboratories, giving improvement guidelines in each of their different projects. 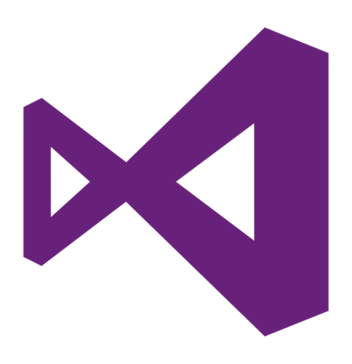 "Visual Studio, production for multiple platforms"
The use of Visual Studio for projects with different figures, makes it very easy to interact with the whole development team, since everyone easily accesses the content of their skills. A great help is the recording of all the changes made to the documents, as it allows to know the history of each file, the author of the modification and it is also possible to leave comments. Another very useful thing is the ability to compare files modified by team members. When installing Visual Studio, you can optimize the installation procedure by deciding which components to install to lighten the package on your system, just loading the items you will use. Furthermore, with support for Xamarin, it's easy to create apps for Android, iOS and Windows mobile devices. If team members do not use the same software version, there may be some problems. It is also a bit complicated to access special advanced configurations. The use of Visual Studio, allows easily to centralize all the work of the development team, obtaining benefits related mainly to the time recovered for each team member. Thinking of developing more or less complex projects, without using software like this, it would be really complex. "good to manage development teams"
The use of Visual Studio in a project with several members (developers, graphic designers, copywriters), greatly facilitates the work of the development team, because each member of the team easily enters the content of their competence; also recording all the changes made is very useful, allowing you to know the chronology of each document, the author of the change and also the possible comment, left by the team member. Also the most useful thing is the comparison between the files modified by the team members. Microsoft has worked hard on optimizing the Visual Studio 2017 installation procedure: the developer can decide which components to install in order to lighten the package installed on his system, limiting himself to loading only the elements he will use. Thanks to Xamarin's support, it's even easier to create apps for Android, iOS and Windows mobile devices. In fact, advanced features are available for debugging and profiling so as to identify problems in the use of memory, solve any bottlenecks and lighten the app code before distributing it. If you need to find a defect in the visual studio, sometimes it's a little complicated to access special advanced configurations. I also encountered some problems if the development team does not have the same software version. With the use of visual studio, we can easily centralize all the work of the development team. The benefits we can obtain are linked above all to the time recovered for each team member. I can not imagine how to develop more or less complex projects, without using software like this. Our main Development team are UK-based but we have colleagues that are work from home and a smaller team of users based in India. VSTS enables us to collaborate effectively and helps us achieve a smooth delivery process. The VSTS UI is responsive and clear, giving us the simplicity of a physical kanban board + the complexity where we need it to set up our cutomisations and alerts. Sometimes setting a priority for for user stories on the board is not as easy as it could be. Particularly if you stray from the 'happy path' of using the epics, features user stories hierarchy. Easy to pick up. On the job training is all that's needed for regular users. More specialist system knowledge required for administrators. We need visibility of the the features and bugs that are being worked on and all the tasks that are associated with these work items. We also need to see the priority of the work items in flight and any other items that are required as part of the sprint. VSTS enables gives us the picture we need for us to plan and manage our deliverables and gives our stake holders the information they need to track our progress. "Ideal for use with Scrum"
I like this platform the way he carries the trello, which is very complete, even though the free version is used. You can add extensions that can facilitate the work. SCRUM MASTER and also to the Devevelopment Team, because it contains your burn down chart and shows the progress of the completed backlogs, your task list in which phase you are ( New, Process, Done). I like your new interface is very clean, it is more intuitive. The main functionalities are in sight. This platform seems very complete, the only defect that I have noticed is that if I am working on my project and update my task to (In progress) and my Scrum Master has open VSTS in its default browser, that task should be updated only no need for Scrum Master to give F5. Agility in the tasks, organization of the team. Better FeedBack of the projects. Union of the team. "Take control of what your team does"
I like how the beta of the new interface looks now, it's more minimalist and cleaner. This platform helps you take control of projects, informing you how quickly the tasks assigned in the sprint are completed. When was the last commit and who did it. This platform has helped the project leader see how we have advanced in the sprint, if we have any impediment with the assigned task and if it can help us or we need reinforcement. This also helps to see PM, if in the other sprint you can enter more tasks. "VSTS - Fly in the Cloud"
2. Does not support Sharepoints and/or Project Server. Being an existing user of VSTS, i would definitely recommend this to everyone who wants to feel the benefits of TFS hosted on the cloud. Easiness that we will bring into our application tracking and management also it is a hosted SaaS model that is maintained by Microsoft and is always up to date. You no longer have to worry about maintenance and updates, that’s all taking care of for you. It is less headache to setup, you can use it right-away without worrying about capex because everything is now becoming opex, you don’t need to manage operating system, install patch, and renew your hardware. Basically you can also connect to your VSTS server from anywhere without need to setup (almost) anything. For our recruitment and staffing application we use this tool for easy tracking of the tasks/user stories/bugs as well as ensure the CI/CD with our GIT repositories. The continuous delivery tools for building and releasing your code are one of the best you can use. VSTS supports building source code from pretty much any language you can think of, while making reporting and storing your artifacts painless. From there you can move into the release pipeline to automatically deploy and deliver your built code. The "Work" tab for managing work via Scrum or Agile is average, but still needs work when dealing with larger teams. Making the work section more intuitive should be a priority, as working with individual teams among a large organization has a high learning curve. The text editor needs a lot of improvement for markdown and things like adding code in comments with formatting. There are a lot of products that can do CI/CD and release management well. There are a lot of products that can do task management well. There are few products that can combine all of it along with reporting and follow-up well. Visual Studio Team Services is able to to bundle all of those features nicely into a product that is easy to use for all user types. We need a product that allows us to store work, communication as well as be able to automatically build and release out product on a schedule. "Good solution for driving DevOps processes across your organization"
No direct integration with github, you should clone your repository to VSTS to work with it. Not a problem for Microsoft stack, but working with open source adding a bit of complexity. "The ideal DevOps platform for .NET / Azure projects"
The DevOps features such as builds and releases, continuous integration, continuous distribution, work item tracking, documentation and wiki, and much more. The product is seamlessly integrated with Office 365 and Azure. There is no "notifications" area where you can see your "mention"s or events that require your attention. E-mail alerts can be set up to cover this, but it would definitely be good to have a notifications area that keeps things together. Definitely give it a try, adopt and use the project management concepts VSTS provides and fully utilise the power of continuous integration and continuous distribution, as well as a powerful source control management system. It is being improved on a daily basis by Microsoft, this is definitely a product to adopt and invest in. VSTS enables us to produce clean, accountable, managed software and source code, as well as keep track of our work. It enables us to automate testing and release processes and gives us the ability to move most of the manual work to the cloud using automated builds and releases. "Excellent App for Source Code Management, Collaborative Development and Project Management"
Great Source Code Management Tool with everything needed in place. Intelligent merging tool, integrated with email. Very useful for Agile Development. Easily integrated with DevOps Tools. "Visual Studio Team Services Build and Release"
The ease of use and richness of build tools is terrific. I've integrated Octopus Deploy and Redgate SQL Toolkit deployments into the build and deploy process using only the built in and free store tools without an issue. VSTS gets new updates every 2-6 weeks. I have experienced issues where I have setup a templated solution, only to find the template no longer valid because of underlying changes. The changes are generlaly not fixes, however, but feature improvements - so while aggravting, not truly frustrating. The one thing that would be nice to have would be the ability to recover deleted builds or to revert to an earlier version of a build definition. I suspect that will come, since revision comments are supported - but there is currently no way to leverage any sort of versioning from the user interface. Don't be afraid to try creating builds and deployments using the tools. The process is fairly straight forward. Developing cloud based solutions, troubleshooting CI/CD projects. The ease of integrating deployments both locally on the desktop and into Azure is terrific. "Comprehensive tool with average easy of use"
Tool provides lot of capabilities and integration end to end from product backlog to continuous integration and continuous deployment. Easy to share with colleagues and management. Great dashboards can be created for user stories, tasks, timelines, burn down, story points, bugs etc. The Epic/Feature/Story hierarchy can be maintained in a very clean and neat way. There are no filters. For a business user, this tool is very difficult to use. We have to write a query to filter your list of tasks/stories. Export to excel is not simple either. We have to install a software (excel to integrate with VSTS. Creating different releases, teams is not intuitive. If you are looking for a tool which provides end to end services for product development (Creating and maintaining product backlog, development, quality assurance with test suites and execution, continuous deployment and integration and integration with Microsoft Azure), VSTS may be one of the best. It may not have as great user interface as other agile tools but it offers the smooth integration between all departments. Creating product backlog and managing the backlog. For entire development, quality assurance, deployment and continuous integration we use VSTS. "We couldn't get through our Sprints without Team Services"
The ability to track our code through tfs as well as the ability to promote code, it really keeps us organized. I haven't found anything that I really dislike, every now and then it forgets my username and password and I have to hunt around to find it, but that's more user error than anything I think. If your tired of JIRA, try this out. This really helps us with our Source Control, not only does it track our changes but it allows us to find old changes that happened months ago. The ability to enter notes on the user stories is a huge help. It also helps our auditing team watch what our software engineers are doing, or not doing. "I can't imagine anything being better"
While the interface can be intimidating, you can essentially view anything in any configuration when you need to. The setup enables all types of team members to be effective in the same product. It integrates with our development environments and tracks everything we do. It's impossible to show that much data without being a bit overwhelming. Other than that there's not much I dislike about the product. I don't know how you could go wrong with the new DevOps! Team Services literally enables us to do work. It is highly configurable and we are able to switch gears and processes on the fly. The flexibility has been great for our evolving company. We track all items through the system and it really provides clarity into our code items as they travel through the workflow. "Intended to enable total Application Lifecycle Management for our development teams"
Visual Studio Team Foundation Server 2013 acts as our organization's collaboration hub while adhering to best practices of Application Lifecycle Management. It helps automate the software delivery process. It helps all our project teams collaborate across roles. It helps track team actions and project requirements, tasks, bugs, source code, development build results, and QA testing results. It's features and configurations are not very intuitive and not very user-friendly. Learning how to navigate in and around the system requires substantial immersion and user-adoption effort. The user interface seems somewhat rigid and not adhering to best practices of usability. We used Team Foundation Server 2013 to help enable comprehensive project development reporting, and to generate dashboards that provide historical trending, full traceability, and real-time visibility into software quality. última versión de visual studio con el Team Foundation Server integrado en el propio IDE. Permite organizar y agrupar los equipos de trabajo por proyectos generando los repositorios para el control de ficheros y versiones. Manteniendo además los históricos de cambios de los distintos desarrolladores en distintas fechas. Además de la gestión de permisos, y tiempos de dedicación a los proyectos que se están desarrollando. Es una herramienta increíble y con una potencia descomunal para los desarrollos con tecnologías Microsoft. Sin duda la mejor opción actualmente para .NET. una pena que no haya una versión gratuita para equipos reducidos y que los proyectos de versiones anteriores de Visual Studio no sean 100% compatibles con esta nueva plataforma. los beneficios son muy grandes para empresas que tienen proyectos internos con tecnologías microsoft, al facilitar la labor de los programadores y de los jefes de proyecto. Sin duda un producto muy recomendable pero no al alcance de todas las organizaciones por el precio de sus licencias. "Amazing piece of software which meets all of my job requirement." Visual Studio Team Services is the good software almost all field of developing the software for the developer.The bug finding feature is also one used heavily by my team and has contributed greatly to the success of many website launches for our company.Visual Studio Team Services is provide a cloud-based solution for developers with everything from hosted-code repositories and issue-tracking to load-testing. So your team can work effectively on software projects of all shapes and size. i disliked the fact that once a sprint closed, it was not easy to see what work closed and what should have been moved forward. But I need to see if that is still tricky in the latest cloud version. Defects, for instance, will show what the current state is but you have to really look and make you're own reporting to see how long that bug has been active and whether it has been reopened multiple times. If you're looking for work item tracking, you most certainly should check out Team Services. The source control leaves a little to be desired, but it's not unusable. We are looking for a way to manage a large scale project with a 6+ member team. To date we have been able to get our large project organized and executed well using SCRUM methodology and TFS. "Reliable and constantly improving "
Then use trial account to verify match. "We are switching to VSTS #Agile tractability till code level, helps in DevOps"
New changes recently done. when it moved from TFS to VSTS are really good. Kanban board with details is good. Its High level of customisation is possible. Dashboards created by our PM make it easy to use and provides really quick overview. From there its easy navigation to open items. Deployment steps provide robust process and approval process to keep it secured. Marketplace!! means a lot of extensible. There is hardly anything to unlike, but I can say navigation can be improved a bit. Especially for Build and deployment options are confusing. Build and Release options are bit complex to understand. new UI for Task is bit complex. But one can always customise it. Go for it, its much cost effective with enough features to manage modern project management capabilities. If you are already using MS stack, its best available solution. If you are on other technologies then also there will not be much learning curve, new web version is good. It helps in agile project management. With VSTS in place we have Project+Task tractability till bugs and code level. DevOps has improved to completely automate deployment of various release components and all this is done within few minutes, earlier we used to spend hours. Ability to execute PowerShell is plus. "If you are a MSFT shop and you wanted an integrated solution look no further"
Probably not the best of breed in any one of these areas listed - Source control/ Project Management/ Test Management/ Build and Deployment pipelines. However, if you hate putting together multiple tools to handle these related but different aspects of development this is worth looking at. 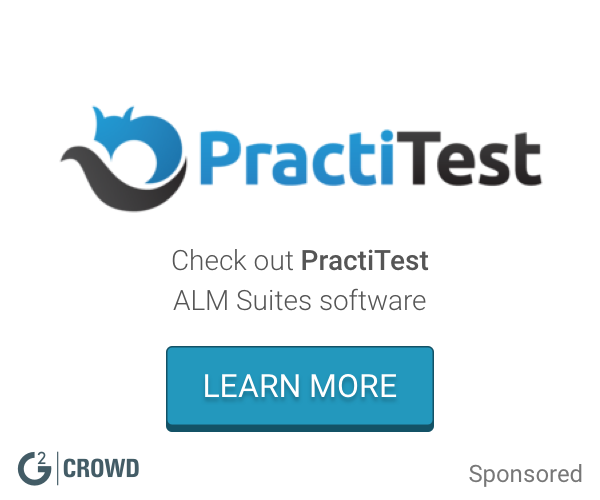 "Best Suite for project management"
You have all you need in the same place. They update the interface with new features and enhance every week with something new. Is not the very usable. Sometimes you don't know where are the features you need. Nevertheless, the are improving with a new GUI to solve this issues. I can link tasks with an specific order and instructions to every member of the team. I ussualy do it every week and specify tasks for the next two weeks to have a mid overview of the projects states. "Cool idea, very helpful for keeping track of many step projects"
Kept thinking projects disappeared because they weren't starred or Favorited or whatever. We look so much more professional to our clients when we have a clear list of what has and has not been completed yet on a project, and can check things off as we go and they can see it themselves. Gave clients a sense of security having a visual of exactly what work was left to do. I like that it is an easy way to keep track of all of our bugs, issues and issues that we need to address in our software. I dislike that at time it can be hard to search for specific items. The tags that can be used do help with this issue however. In the limited time that I have used this product I have been happy with it. I would recommend researching to see if it has features that you would use and if it can be customized for the type of work that you will be completing. I am solving bugs and issues that users and staff how found within our software. One of the benefits is tracking common bugs and finding broader solutions instead of continually fixing the same issue over and over again. "very handy tool to keep track of project"
We can use this in cloud. in this tool it is very much easy to track status of project status. Easy to use and great UI support. Security can be one of the concern if used on internet. It also provides source control and build tool but i am not using that for that purpose because we have more powerful source code version tool available in market with less expensive. You can use this tool to track status of agile project. task distribution and incident tracker. SOme other features like build automation , control version is little slow on this. we used this tool to track the status of the project. Iteration tracking, tasks assigned to team members, Production Issues all these are tracked in this tool. For small teams, it's free. It is very powerful and fits the way we work. As our team grows, we can start using pay for features. Also, I like the fact that stakeholders are free, as many as you want. Tasks can be created under Product Backlog Items but they don't seem to work together in some instances. For example, if I take a PBI out of the sprint, I have to take all the tasks out separately. That is a pain. Good price for smaller teams. Not sure about cost for larger teams. Helps if you have MSDN subscriptions. It supports our Agile shop nicely. The biggest benefit is that things don't slip through the cracks now and we can track code changes back to the items that inspired them to begin with. "Powerful Features but needs some UX Work"
VSTS provides a robust and powerful SCRUM project management solution. The ease in which you can organize sprints, tasks, and switch between a list a board view is great. The analytic and reporting capabilities can give you metrics on nearly anything going on. The use of capacity planning for team member is particularly helpful when tracking values in a sprint. One key feature that is missing is in app notifications. You currently are only notified of an update via e-mail. In addition, on boarding a person to VSTS is a bit confusing since the UX for backlog, work, and board management isn't intuitive. Having the option to quickly update remaining hours on a task card is helpful, but there should be a similar means to create how many hours are estimated for easy setup/management. Take some time to get used to the system. I would also recommend taking the time to learn how to build queries against your stories/tasks, since it will allow you to create dashboard charts that can be helpful. "Excellent application for team work"
For software development that is being done by a team of developers requires certain support for successful collaboration. his could be in the form of versioning the code, creating the components and their releases, managing the process of development, and managing issues that may block such software development. The Visual Studio Marketplace comes with over five hundred extensions that can be integrated with VSTS for a more comprehensive user experience. Sometime freshers get confused with it and take time to understand the feature. people can take benefit of this when they work together. Being developer, I worked on many applications where our team took benefit of this feature. We always have to share our files with each other, also it makes testing more easier. "Lead Developer Review of Visual Studio Team Services"
It provides similar project management to many tools out there, but for me it has an edge over the competition because it is fully integrated with my development workflow. I can checking/checkout code, query/comment/modify work tasks / bugs, create relationships between commits/branches and tasks/bugs, etc. all from Visual Studio, Visual Studio Team Services web UI, and it's even getting better on mobile. Since it's a highly complex piece of software I wish the initial setup/configuration was a little easier/user friendly. It's somewhat cumbersome and overwhelming and it's not intuitive as to what happens when a specific setting is changed. It's also difficult to go from a security/configuration error message to a "fix" because the messages are somewhat cryptic. Spend time to learn it well because once it's setup and out of your way, it can be a very valuable tool. At the company I work for it's a collaborative tool used by developers, managers, testers, and documentation folks to track workflow and status of our specific goals. "Visual Studio for Open CV"
Outside of the source control features, Teams Services does have some really nice features for creating work items, tasks, bugs, and tracking the progress of all of those. The interface for them is easy to get used to and work with, and the integration directly into Visual Studio makes associating check-ins with work items dead simple. Source control in Team Services (TFS) represents the "old style" of source control in that you need to be constantly connected to the server when working with your code in order for it to function properly. This is in contrast to git (and even subversion) which create local repositories that you sync when you need to with the server. This provides a whole lot more flexibility when it comes to managing your repositories. Also, TFS doesn't feel like it's changed in a decade, and I feel as though it needs some TLC to bring it up to par with what you get with git. Currently only using it for source control (we keep our work items in JIRA). In the past, I've used it for managing a small Agile team of developers, and the work item tracking support made the process so much easier, especially as we were just starting to make the switch to Agile development. "Lots of new and useful features"
- The new web UI provides nice web based work item customization. - Especially for Linux users they introduced a new SSH tasks feature where users can just specify the SSH connection info as a service endpoint, then specify a shell script path or commands. If we compare it with github, tfs is not that much intuitive and the comparing with the previous version is also not like github. I didn't find any way to link the previous version comparison with beyond compare, which I could easily do in github or clearcase. We are using TFS for source control management as well as backlog and tracking purposes. We are also using it to create and manage bugs/defects. "Visual studio review after 1 year experience in it." Best software for .net and java development, easily development with its best features like toos which are available and also we can connect our sql connection and write our queries in it. And also we can import external API ans we can maintain our code structure easily. Everything is fine , its open source and freely available so l like it . I have developed my many c# project in it , we dont need to open seperate SQL server to write procedure or sql queries because its inbuilt features provide sql interface and another thing easily drag and drop we can create GUI. I've been a fan of TFS and TFVS for many years. Team Services brings everything I like about on premise TFS and puts it in the cloud. I get my choice of GIT or TFVS and I get the latest and greatest release every few weeks. The pricing is my favorite piece of the puzzle. I get all that TFS has to offer, for free! Getting continuous integration to work properly between Team Services and on premise web servers is no easy task. The rapid release cycles of TFS means documentation is quickly out of date. Navigation can also be a pain sometimes, as navigation terms are ambiguous and repeated in some cases. Using VSTS in junction with Visual Studio and Azure make the best combination, but it works well with other stacks also. We use TFS for source control and product backlog management. We will use it for continuous integration as well, once we move our web server to Azure. "Useful Collaboration Tool for Big Biz/Closed Source Setting"
Really appreciate first and foremost the wide variety of customization options including work item management on the dashboard/main screen. A lot of options are available as well for plug-ins and custom widgets. This may make it sound busy or cluttered by the overall design still manages to be clean and modern. If cost is an issue, VSTS offers a potential benefit over the major competitor Github. VSTS is priced on a per-user basis rather than on a repository basis. Users can have unlimited repositories. VSTS takes a little longer to get used to than Github which has a very basic interface. However, VSTS in exchange is much more customizable as previously stated. Github might be a better fit for those working on open source projects or with small, informal teams. Another inconvenience is that there aren't a lot of options for hosted build services on VSTS, whereas there are many for Github. Take advantage of the wide variety of customization options available to you on the dashboard in order to make VSTS the best possible tool for you. I am a front-end developer working in a small, agile development team within a large corporation. VSTS allows the team to communicate with each other easily, even the non-developers. The to-do list on the dashboard gets priorities communicated to everyone. The ability to integrate testing with work item management is also been helpful to us. I really enjoy the modern and clean user interface, I feel that it helped in my productivity a lot as there were few distractions. I also liked how customizable it is, especially that you can put widgets anywhere you want in a grid. Along with that, the number of widgets it comes with and that are addable is amazing and really helpful. VSTS also improved productivity in our workplace because it can be made into anything from a to-do list to a bulletin board. The support for Markdown and various other services is also very nice. I can see this program being confusing for people not used to working with tools as advanced as this, mostly because it's hard to get so much readable information into such a small space with so many good widgets. The grid feel of it is also not great, It feels like a certain transition from OS to OS that many of us didn't like. If you're a developer or in management, I definitely recommend using this product. It's easy to implement and making inter-team and inter-departmental easier is always something to look for. This tool is great for keeping everyone on the same page. Some people who can't understand what's going on in the code can leave notes for the developers, so they can see and implement the changes or answer the questions. "Visual Studios Helps Take Collaborative Team to the Next Level"
The dashboard provides a high level UX. It allows me to centralize information for my team across various departments and needs. It is clean and simple to read. The bug finding feature is also one used heavily by me team and has contributed greatly to the success of many website launches for our agency. Navigation can get confusing when trying to drill down deeper into services and required more training than anticipated for my employees. Also design elements could use more development as there are likely some more dashboard features that could be sourced/created. If you are an organization that requires a large amount of collaboration between team members this tool will help you centralize and organize your information for dissemination to your team. All in all, it will make youre life a lot easier! Providing a single location for multiple aspects of agency work that require collaboration between all and various combinations of team members. "VS TS is a great repository. " Microsofts reputation for overwrought software does not disappoint in this case. In a repository software system there are certain hallmarks to consider. The branching/merging and compare tools are simple and intuitive to use. The repository is easily searchable and integrates seamlessly with other Microsoft stack technology. This is a double edged sword sometimes as the product feels combuersome and difficult to navigate. Each revision has modified menus so it is sometimes difficult to find what you are looking for. The search menus bar helps mitigate that problem. If you are using the microsoft development software stack, you should be using this. this is the tool used to manage a repository of source code for our various software applications. "Good services for the team work"
Visual Studio Team Services is the good software almost all field of developing the software for the developer. It provide the good service for the team to share code (I think perfect) in the multiple programming language which is the best for the developer. Visual Studio Team Services is provide a cloud-based solution for developers with everything from hosted-code repositories and issue-tracking to load-testing. So your team can work effectively on software projects of all shapes and size. There nothing to dislike in the Visual Studio Team Services but still have some feature which I dislike in the Visual Studio . That is it is not possible to use Visual Studio (any version) to upload a process template to Team Services. There needed to implement workflow customization. Business problem that I solve on the Visual Studio Team Services is to developed the software and modifying our software. As I developed the many software with the help of the Visual Studio Team Services I realized that it is the good for the developing for the team work. It helps in Developing softwares for web , mobile and for desktop. Visual Studio provide online services like TFS. It Does not work Properly for larger Projects. "I love Visual Studio team Services"
It is so easy to learn, and easy to see your work. It also allows the whole team to see code check ins, etc which you cannot see with other products. It has good online help that is easy to follow. Also, I like the fact that I can quickly start using a free account to practice and brush up on the tool before using it at a new job. I used to dislike the fact that once a sprint closed, it was not easy to see what work closed and what should have been moved forward. But I need to see if that is still tricky in the latest cloud version. I would always want to use team Services when using .net technology and/or in a company who uses the MS products. It is easy to learn, great tutorials, and very helpful for distributed teams. I used the on-prem version in 2015, and am starting a new PM role where I will use the cloud version. The online tutorials are very helpful in showing the differences. Product applications which enhance user experience and increase sales. "Visual Studio Team Services Looks Promising!" About 2 years ago I started using Visual Studio Team Services (VSTS) with a work related project. The service looked promising but had a lot of early release issues, so in the last 24 months it was interesting to see how a promising solution became adult. Visual Studio Team Services provides a set of cloud-powered collaboration tools that work with your existing IDE.There are so many power packed features offered by this product of Microsoft but compared to other version control following is my take on them. – Microsoft delivers with VSTS a highly customizable and adaptable work item management system. The SCRUM and KANBAN template makes perfect sense for agile teams but also the traditional waterfall model can be implemented. – VSTS implements based on the work item management a test case management which has the option to integrate it with automation bots via WinRM and other protocols. When it comes to closed source projects, forking and pull requests are becoming only important in bigger teams with different products or product lines. We are using this feature strongly in our teams at my company. Smaller startups or teams will not use these workflows often but nevertheless it is a road blocker for me to do the 100% switch to VSTS. I guess it took Microsoft around 12 month to deliver it in a more simple way GitHub is doing this. VSTS and GitHub are supporting multiple git repositories but GitHub lets you pay on a package on git repositories, VSTS lets you pay for users. Especially for small teams paying for users is the better deal, compared to paying for repositories. At the end Microsoft offers a smaller groups of 5 everything for free. This fact stopped my permanent GitHub problem: Having too less private repository space. We have implemented VSTS on our on premise server and working on cloud applications with Windows Azure to solve our customer Infra as well as Software issue. when it comes to business problem solving with visual studio team system , being Agile and working together on set of features or Work Items makes life easy as anything and finally improve our productivity in order to scale our client solutions to new level. nothing.I think the software is pretty good. Built the Electronic Permit System for Highways in Iowa.Visual Studio Team Services helps me organize my data and keep information on my fingertips. Incredible team collaboration tool. "A great product for closed sourced !" Very customisable dashboard, team stories, pricing on user basis and not on repositories basis , unlimited private repositories , build services support for many build type like android(gradle) , .net and many more code base ,offers customisable work item management , it also have plugins for most popular ides like intelliJ , eclipse , intelliJ , android studio , visual studio . If you are using this product for your startup this is the product to use . But if you are planing a project to open source look for other solution . "My software development experience with Visual Studio team services "
Visual Studio provide complete and comprehensive solution to develop Microsoft .NET framework based software (web applications, mobile based application ,window based application). Visual Studio team service has excellent integration with Azure (Microsoft cloud). Visual studio team service works great in collaborative team environment when more than one developer is working on project. Visual studio has capability to provide support during all phases of software development life cycle starting from planning, code development, unit testing , integration testing, source control , deployment and release phase. It has seamless integration and version control with Git and Team foundation source control server. It provide an excellent support to work on sprint using agile methodology. It has user intuitive dashboard and provide good insight on project progress to manager. Team services are useful while working with a large team (more than 10 team members). It is good of new development projects but migrating existing projects from Team Foundation Server or GitHub is difficult. Performance is slow during build process. Pricing is on higher side compare to other cloud based competitor like Amazon or Google. I will recommend to organization who are already using Microsoft TFS or Visual Studio for software development. Team services is excellent to work on cloud based environment. It is good for building a large enterprise software applications when most of your team members are working remotely and from different geographical area. Also it require less initial set up efforts. It provide excellent support while working on agile based development approach. Few benefits which I could recollect are faster development time, support to track and monitor progress of project. Integration with majority of Microsoft based products like TFS, Visual studio. I've always been a sucker for gorgeous user interfaces and Visual Studio Team Services nails the balance between a pleasant UI and straightforward functionality. Microsoft have always managed this with their Visual Studio product series in my eyes and I'm delighted to see that still stands for Team Services. Unlike several tools I've used in the past the dashboard is entirely configurable as well so the teams I work with can simply throw things onto it in an uncluttered way which we find easy to read. The only thing I can flaw Team Services for is the fact that we're confined to tiles when creating dashboards as opposed to being able to freely drop widgets wherever we feel is appropriate - this is just a personal nitpick because I love organised messes. Explore the widget gallery to make sure you're not missing out on something that could be a fantastic boost for your team, it's definitely worth checking out what's on offer so you can take full advantage of the tools at your disposal! Sometimes when working in teams we, the coders, have a hard time conveying to the non-technically minded what's actually going on. The brilliant customisation features of Team Services allows the coders to have our technobabble half of the board and then place digestible English writeups on the other side so we don't have to constantly flick between chat client and web browser to explain what's going on. "TFS online is working well for remote proj management"
Good integration with work items, source control and build management. Online access is good for remote teams. Free level of subscription is decent and good for small teams and projects. Build capabilities seem good and current with Visual Studio latest level of support. user management is very difficult, adding users and then applying them to projects is esoteric and difficult... many features and functions are hidden. Default settings are too limited. Query capability is ok, but not great... initially appeared to not work. don't be afraid to pay for addtional Basic seats. Having a fully functional team is good and allows for full access. remote team project management, work item backlog and iterations allow for item by item task management. "Its's a good service for collaboration, branching and development of code"
In case of web development I would definitely recommend using this software. "TFS integration with Visual Studio"
I use VS TFS from a PM perspective so can only speak to the insight it provides in a management regard. By far my favorite feature is the ability to define custom queries and select your favorites. 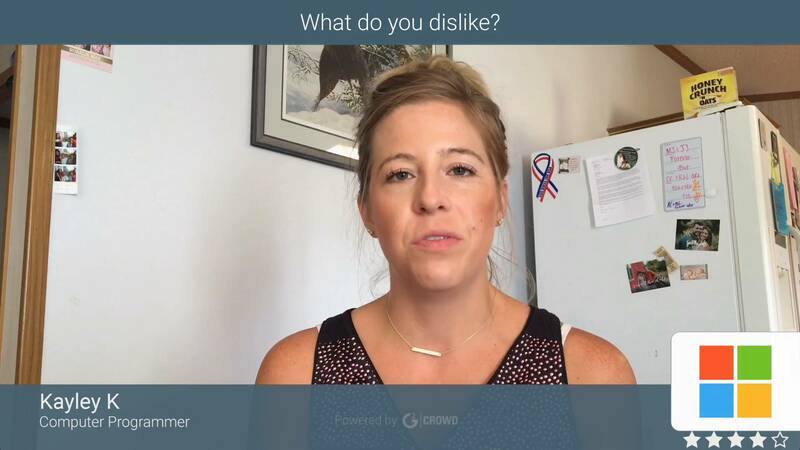 When a favorite is selected, VS automatically runs the query upon launching VS. Therefore you get a count of items assigned to each status. Again, from a PM perspective I get a majority of the information I need from querying, exporting and spinning up Pivot Tables. This can be cumbersome and takes time to execute. I'd be nice to see a feature where reporting/reports could be saved in TFS and automated. Development and testing transparency. It can also be configured to allow other teams to view your work which is nice when you have work that spans multiple teams. Learning about Visual Studio Team Services? * We monitor all Visual Studio Team Services reviews to prevent fraudulent reviews and keep review quality high. We do not post reviews by company employees or direct competitors. Validated reviews require the user to submit a screenshot of the product containing their user ID, in order to verify a user is an actual user of the product. Hi there! Are you looking to implement a solution like Visual Studio TS?